Southampton: Dele Alli scored twice as Tottenham came back from behind to win emphatically, 4-1, at Southampton on Wednesday. Harry Kane, who missed a penalty, and substitute Son Heung-min were also on the score-sheet in a game that saw Virgil van Dijk give Southampton an early lead. 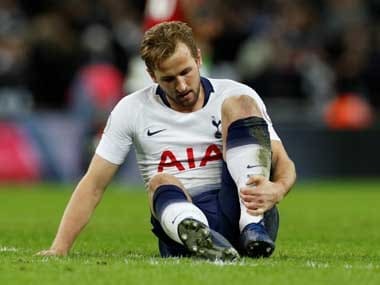 Nathan Redmond was sent off soon after Kane had made it 2-1 and although the England striker failed to convert the resulting penalty Southampton tried in vain to prevent a hefty defeat that moved Tottenham to within a point of fourth-place Arsenal in the Premier League table. It took Southampton all of 69 seconds to take the lead, through van Dijk. The Netherlands defender, coveted by a number of Premier League rivals and valued in the £30million bracket, rose to meet James Ward-Prowse's free-kick to send a downward header beyond Hugo Lloris in the Tottenham goal. The home side were full of energy and aggression - the brand of football Pochettino brought with him to the St Mary's Stadium before leaving for Tottenham in May 2014. The Argentinian could not have enjoyed the way his players were being put under constant pressure and there were a number of nervy moments as they attempted to stem the tide of Saints attacks. Former Southampton midfielder Victor Wanyama had given away the free-kick for the goal on his first return to his old club and Mousa Dembele was booked for chopping Nathan Redmond down to end another attack. Fraser Forster had little to do in the Southampton goal but found himself picking the ball out of the net in the 19th minute when Moussa Sissoko saw his cross from the left deflected upwards off Redmond. That allowed Alli to out-jump van Dijk and plant a header past Forster that went in off a post. 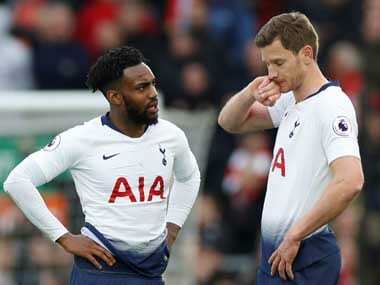 Parity perhaps flattered Tottenham but they made good use of their good fortune to fashion a number of chances. Christian Eriksen twice failed to hit the target after getting himself into promising shooting positions before Wanyama, having burst into the box and got the better of van Dijk, saw his shot blocked by Saints skipper Jose Fonte. Tottenham made a much better start to the second half and took the lead in the 52nd minute through the previously-dormant Kane from a corner won by Kyle Walker and delivered by Eriksen. Southampton's marking was poor to say the least as the England striker rose unchallenged to head into the top corner. Jose Fonte headed over from a free-kick at the other end before the home side found themselves a man down when Redmond was sent off for impeding Alli from behind in the act of shooting. 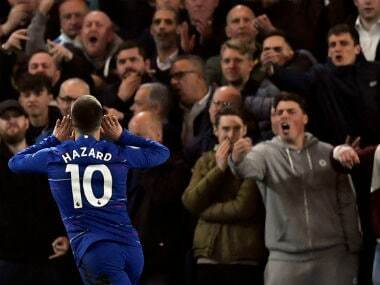 Referee Mike Dean awarded a penalty and sent Redmond packing before Kane stepped up to send the spot-kick soaring over the bar in the style of a rugby conversion. The extra man was proving useful to Tottenham and Southampton were relieved when Eriksen's effort bounced back off the crossbar. Danny Rose poked another effort wide after Saints made a triple substitution, with Dusan Tadic, Shane Long and Pierre-Emile Højbjerg coming on to pep up their depleted ranks with just under 20 minutes remaining. Lloris had been a spectator for a while but almost gifted Pierre-Emile Højbjerg, one of three 72nd-minute Saints subs, a comedy equaliser. The Frenchman kicked the ball straight to Højbjerg, who was so surprised he sent the ball straight back instead of locating an empty net. 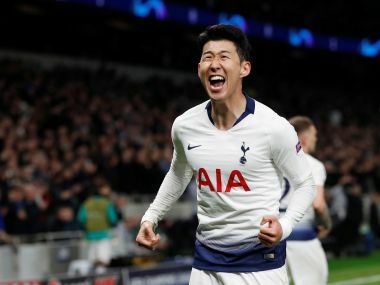 Son Heung-min, Tottenham's first substitute, wrapped up victory in the 85th minute, with a cool finish across Forster after Saints had been caught on the break. Southampton couldn't wait for the final whistle, especially after Alli strode through to slot in a fourth after the hosts were caught out at the back once again.